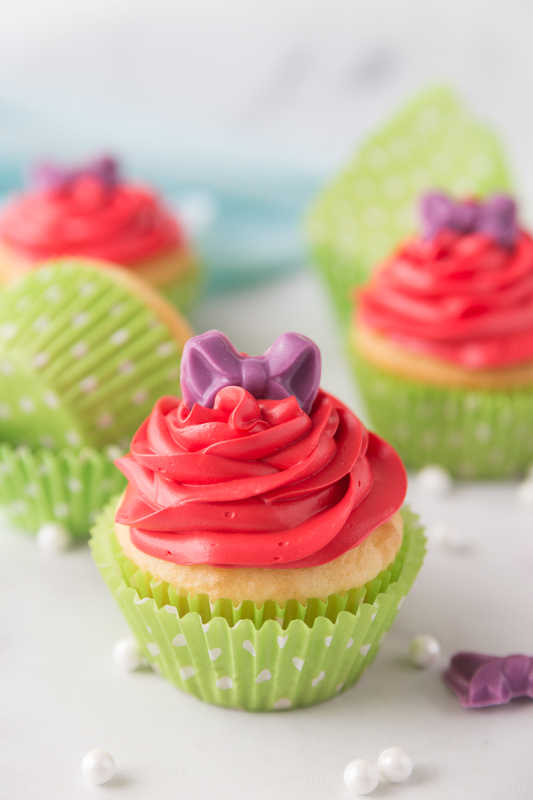 Little Mermaid Cupcakes are the perfect tasty cupcake treat for any Ariel, The Little Mermaid, party! 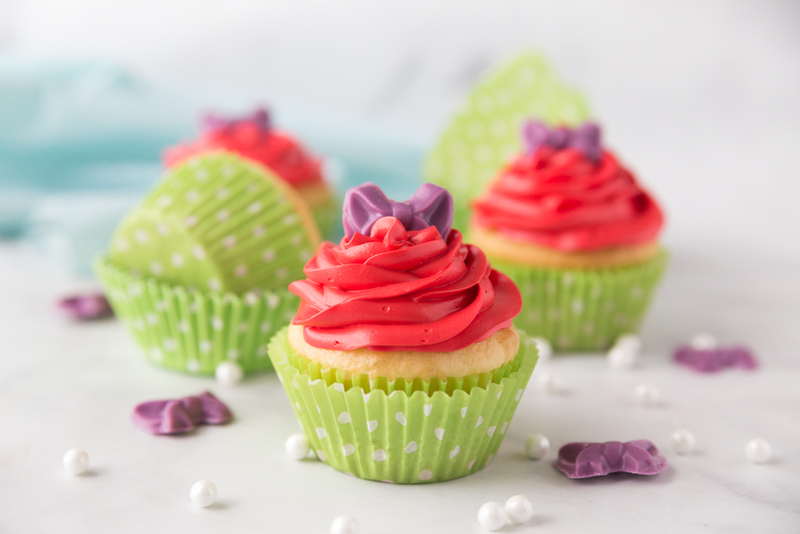 These Little Mermaid Cupcakes are a spin-off from our Belle Cupcakes which were a huge hit! 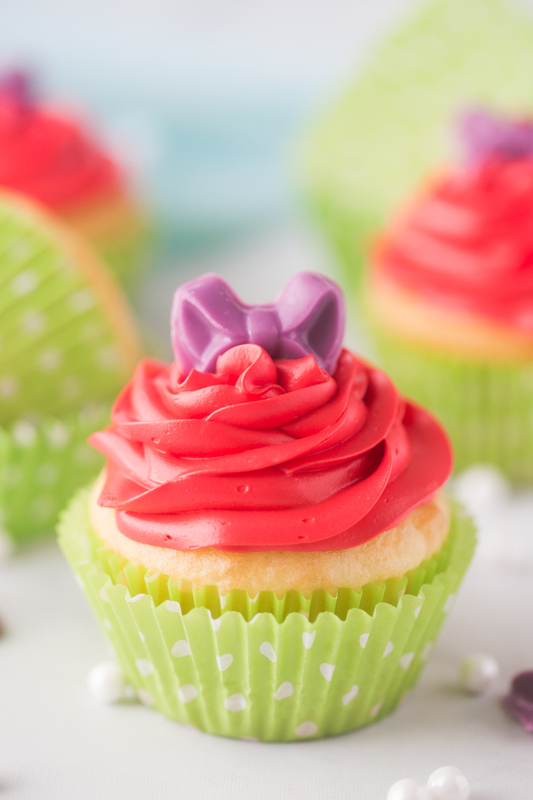 My plan is to actually create more princess cupcakes, so make sure you are on the look out for them! Let me know what your favorite princess is and I’ll try to recreate it! 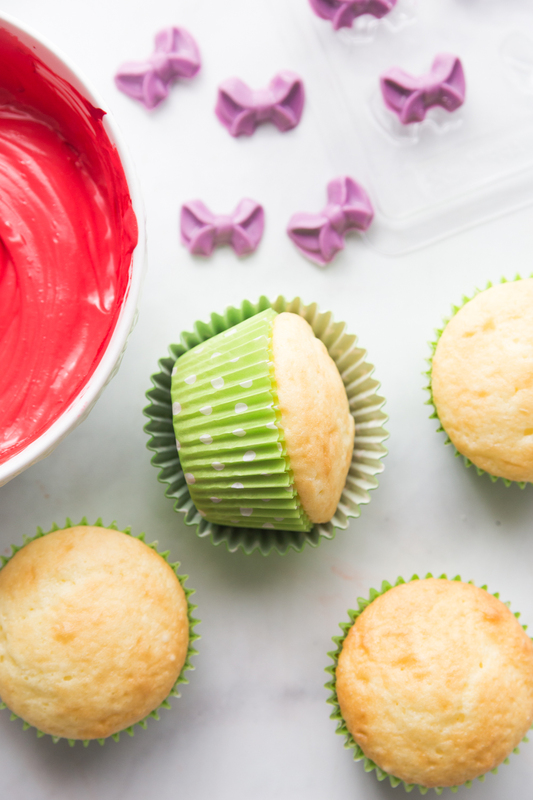 These cupcakes are super simple to recreate which makes them the perfect cupcake treat for just everyday or for a birthday party. You only need a few ingredients and about 1 hour to create them. While your cupcakes are cooling make your purple bows. 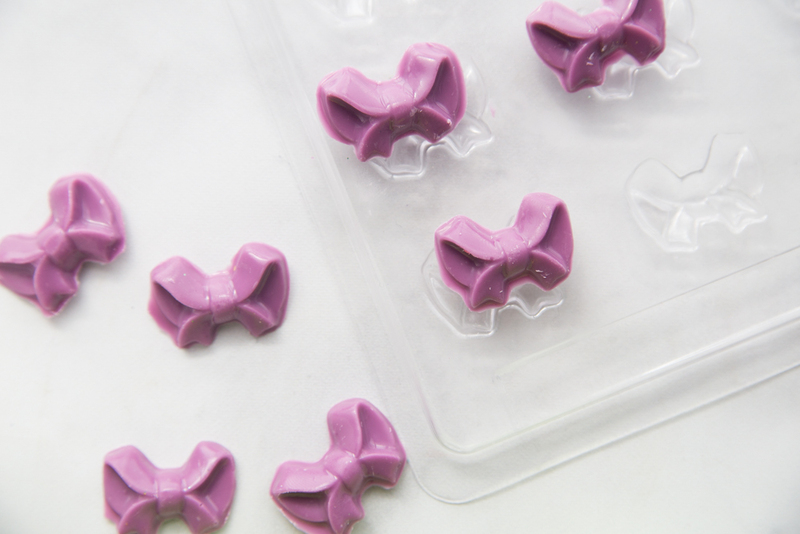 First you will want to melt your candy melts and carefully spoon it into the bow mold. Use a wet paper towel to wipe up any excess spots. Place in a refrigerator until harden, this should only take about 5-8 minutes. Lastly you will assemble your Little Mermaid Cupcakes. Pipe on some red icing and top with a purple bow. 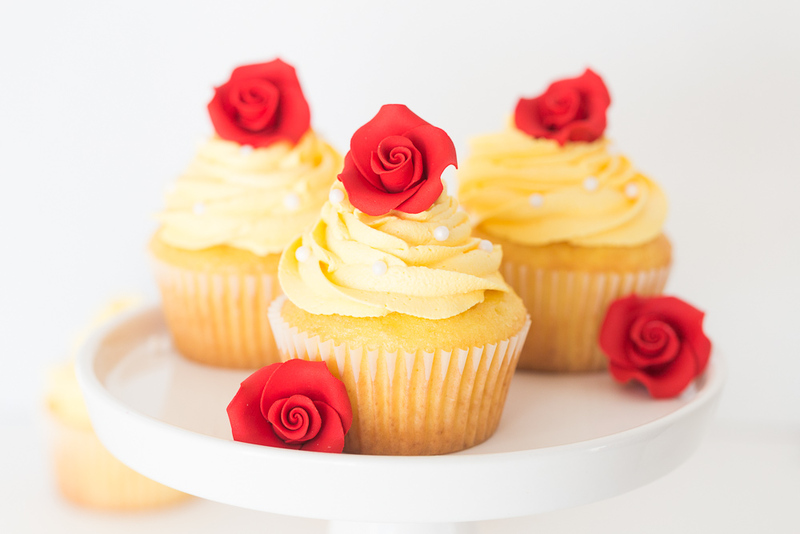 You can even add some white pearls around the cupcakes if you want to add another little something but I preferred it without them.